An investigative tribute to the unseen journalists on BlogHer.com, part 2. In my November 1, 2012 post, The Marvels of Self-Editing, I explained I grew up in the 1950s when newspaper reporting employment options for women were scarce. That’s why I appreciate all of the opportunities freely provided by blogging and BlogHer.com. 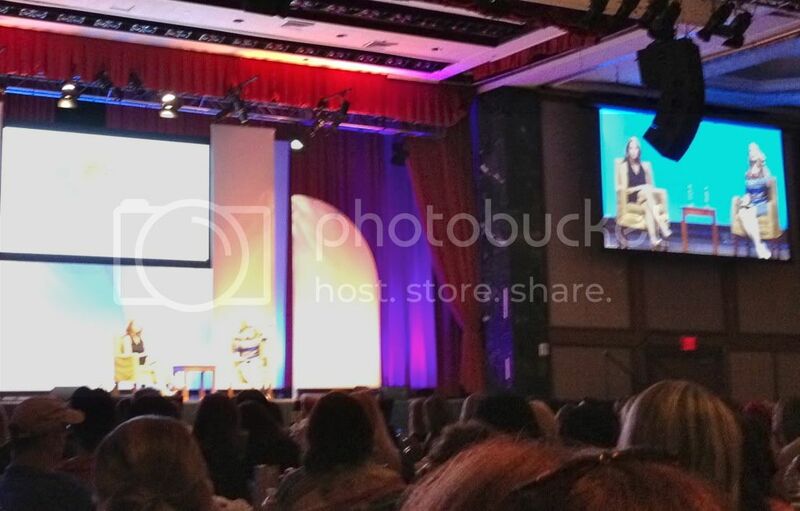 In my subsequent post, BlogHer’s Lois Lanes, I explained how impressed I am by all the professional journalists at BlogHer, including BlogHer’s Editor-in-Chief, Stacy Morrison. Now, I have to tell you about how amazed I was by all of the writing talent at BlogHer ’12, where many top journalists mentored BlogHer attendees during popular learning sessions. I attended many of those sessions on Friday, August 3rd, and Saturday August 4th, at The Geek Bar and The Writing Lab. I was impressed by the sharing from many professional women who graciously gave first hand knowledge from their years of experience. I had a wonderful time and learned a great deal in only two days. 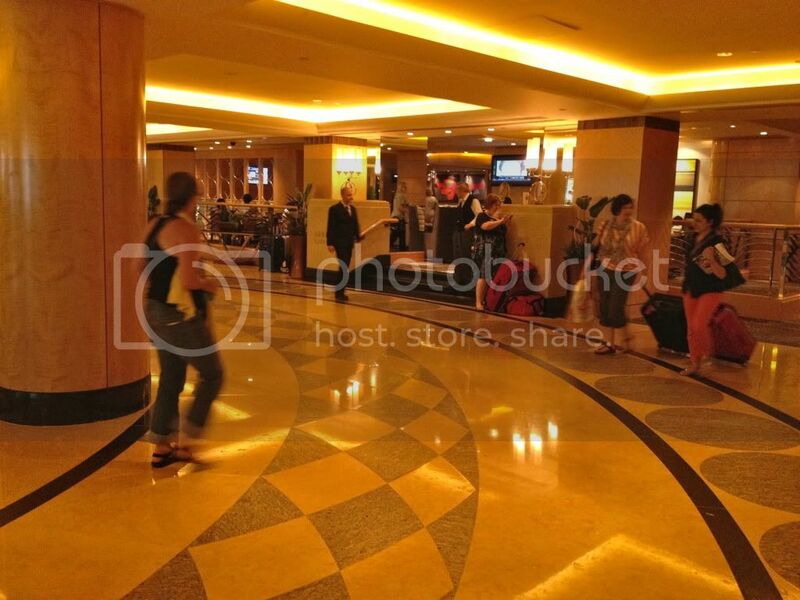 The lobby of the BlogHer ’12′s Hilton New York. Jan Ziff enthralls her The Podcast Toolkit devotees. I took Jan Ziff’s class on The Podcast Tookit. What an experience that was. She has her own company, Sound*Bytes, and is heard nationally on CBS Radio every week. She was a trooper in explaining the steps to do a podcast. In addition to lots of information on technique, she showed us different types of microphones and demonstrated podcast software. The grand ballroom was a grand meeting place. Melissa Ford, our BlogHer NaBloPoMo fearless leader, instructed us in how to effectively create content in her class, How to Use Blogging Prompts. She was warm and nurturing to her fledglings as she shared the importance of writing to get the creative juices flowing. She is a published author with her two books, Life from Scratch, a novel about blogging, and Navigating the Land of If, a non-fiction book about infertility and pregnancy loss. What a treat it was to meet Melissa after staring at her avatar for so long on BlogHer.com. 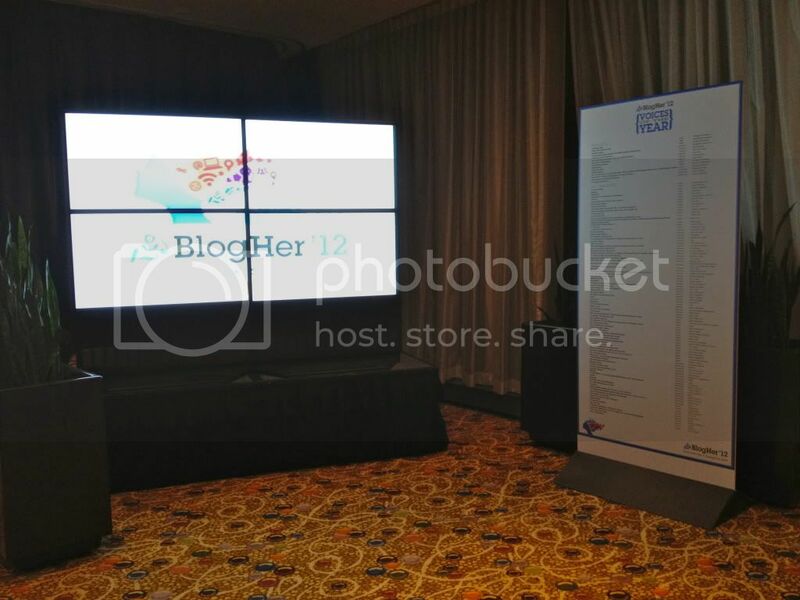 A BlogHer ’12 marquee along with the Voices Nominees. Julie Ross Gabor was full of surprises when she taught us her high profile course, Credible, Well-Cited News and Political Writing. In addition to lots and lots of great information, it was fun to learn that Julie was a contestant on the TV game show, Jeopardy! These four professionals were just a smattering of the talent seated for two days, in six sessions located in ten meeting and conference rooms at the Hilton New York. 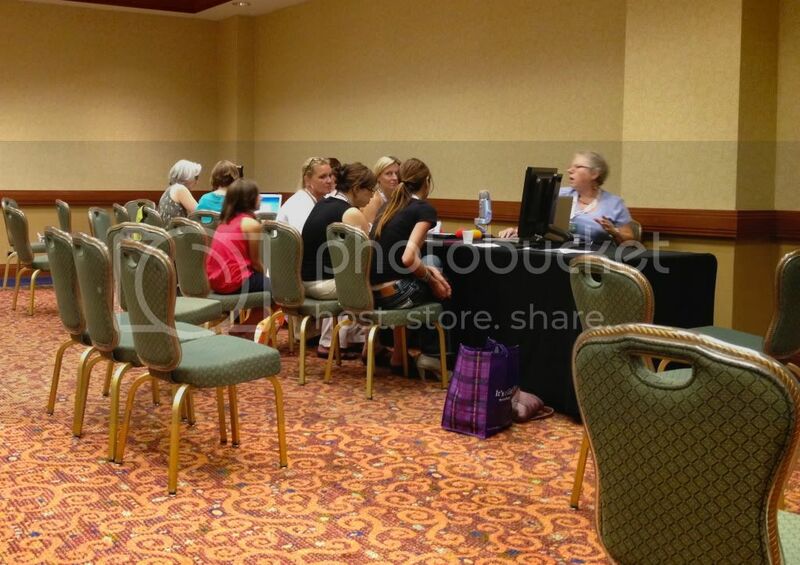 What a mighty gathering of professionals, all intent on giving their best to each BlogHer ’12 attendee. Why, writing this, I can’t wait to see what is offered at BlogHer ’13 in Chicago. It is a pleasure to be associated with such high powered women. I just love being around these BlogHer Lois Lanes.